Discussion in 'Herb Gardening' started by gardenelf, Jun 16, 2011. Quickly removed it so I can re-post here. I have three beautiful, lush sage-plants, but they just won't flower. 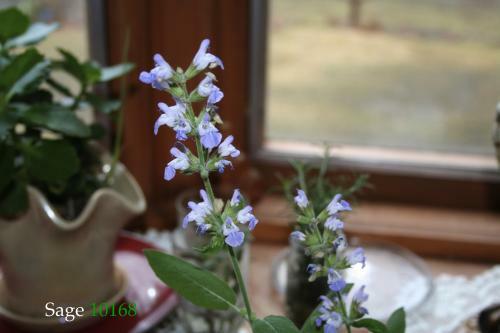 In my previous garden I also had sage, but that one had flowers every year, even after I cut it back quite hard. Growing conditions in my current garden are similar. Help, what am I doing wrong? Are you referring to Salvia officinalis the culinary species or one of the other Salvias grown for it's blooms...Mealy Sage, Autumn Sage, etc? I'll do one of my little experiments: this autumn I'll transplant one of the sage plants to my "2nd garden", to see if it will flower there next year. Has it been 2 years since you planted the sage? 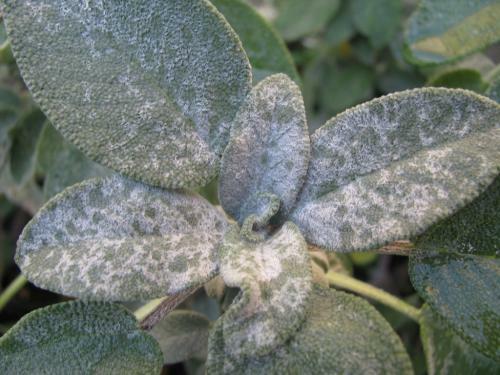 By the way, this sage has broader leaves than the sage I grew in my previous garden. Although both were labelled salvia officinalis, could there still be a difference? Do the leaves look like these? They were rooted from sage bought in the fresh herb section of a grocery store. The flowering sage did look like yours, Jerry, the leaves were kind of narrow.